Stuart has nearly 40 years Broadcasting experience. He started his Broadcasting career in 1980 when he travelled to Israel and joined the Voice of Peace as a Radio Engineer. He regularly presented ‘Nightbeat’ on the station. He stayed at the Voice of Peace for 18 months then came back to the UK. 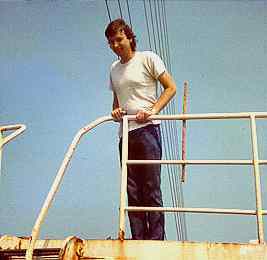 Stuart then joined Radio Caroline broadcasting from their new Radio Ship, Ross Revenge, anchored in International Waters off the UK. Primarily as a transmitter Engineer, he soon found himself on the air! 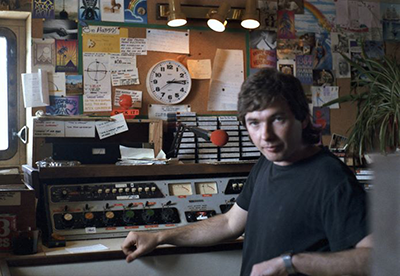 Stuart presented regular shows on Radio Caroline during 1983 and 1984. Following the arrival of the MV Communicator nearby, he made friends with nearby station Laser 558 and Stuart jumped ship, literally, and became principal Station Engineer on the MV Communicator. In 1985 Stuart followed fellow Laser 558 shipmate Rick Harris to Dublin where he joined as Station Engineer and part time Disc Jockey for Chris Carey’s Radio Nova. He stayed in Dublin for nearly a year before coming home and joining newly licenced Radio Invicta, a local ILR station in Canterbury. Stuart has remained in Local Radio and now works as Technology Team Leader of Technology at Global Radio.